We carry over 6,000 bolts! 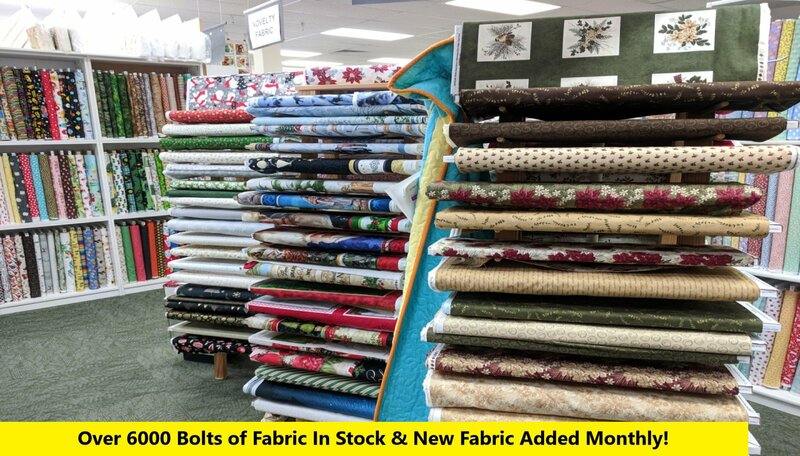 We maintain inventory from Andover, Hoffman, Maywood, Michael Miller, Moda, Northcott, Quilting Treasures, Robert Kauffman, Stof, Timeless Treasures and others. We have a large Close- Out Department. Our cotton prints are constantly changing. Be sure to purchase all the fabric you need. It may be gone when you come back. 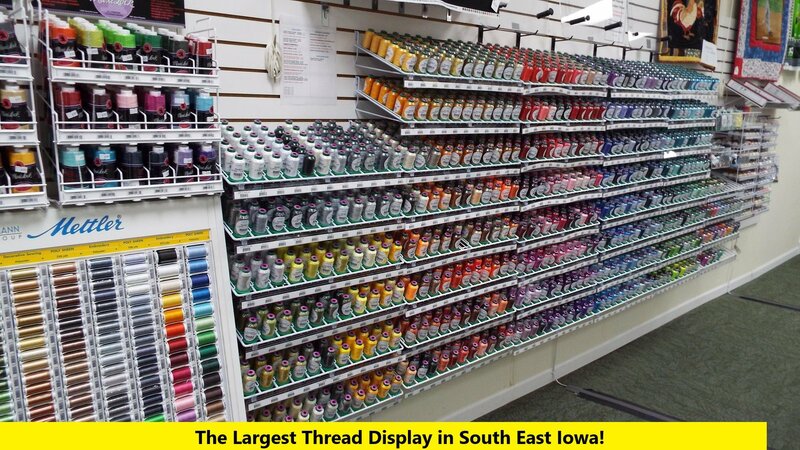 We are your southeast Iowa Janome, Elna, & Necchi sewing machine authorized sales and service center. 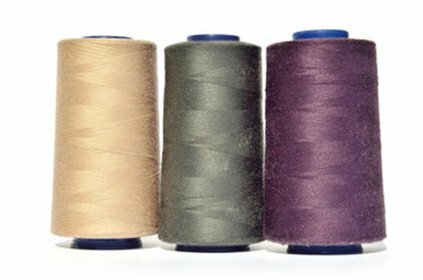 We service all makes and models of home sewing machines whether we sold them or not. 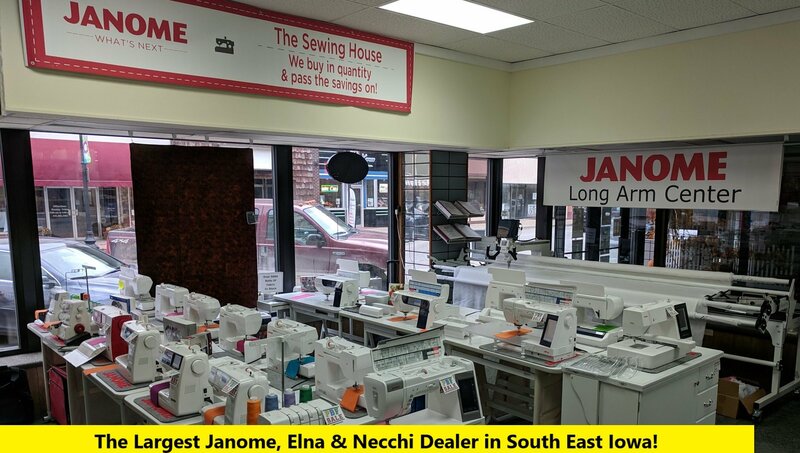 We maintain one of the largest inventories of Janome, Elna and Necchi sewing machines and Accessories in the Mid-West. 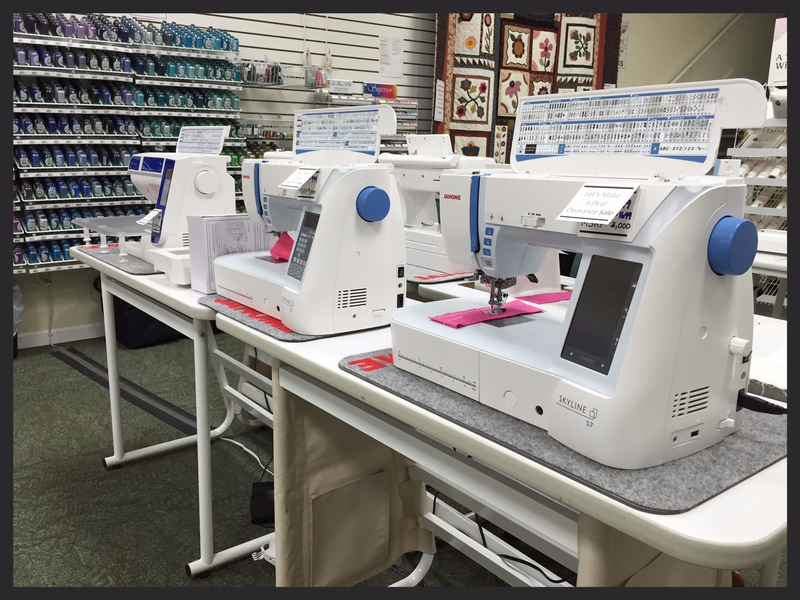 Every sewing machine we sell comes with our Extended Service Warranty and on-going support. 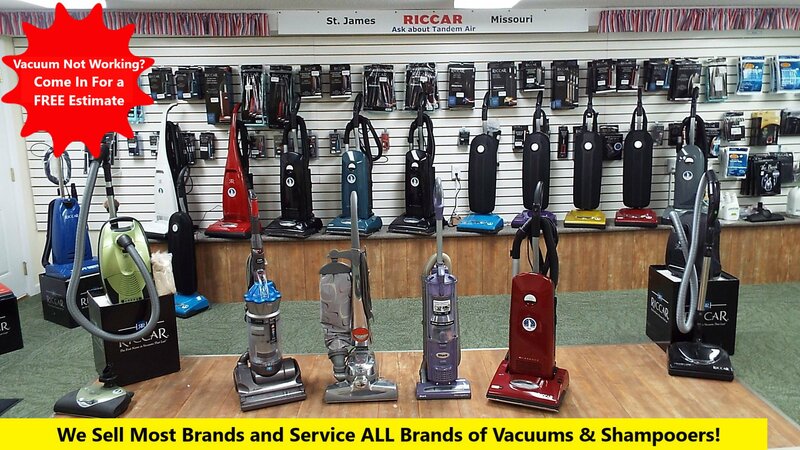 We are your southeast Iowa Riccar & SEBO Vacuum authorized sales and service center. We sell vacuums you won't destroy and won't throw away. We service home vacuums whether we sold them or not. We maintain an inventory of vacuum bags and belts for most major brands. We sell vacuums with bags. You replace the first filter when you replace the bag. Welcome to The Sewing House! In 2007 Linda and Tim Dobson formed The Sewing House, LLC. We started in our home, and now have about 6000 square feet of display and classroom areas. 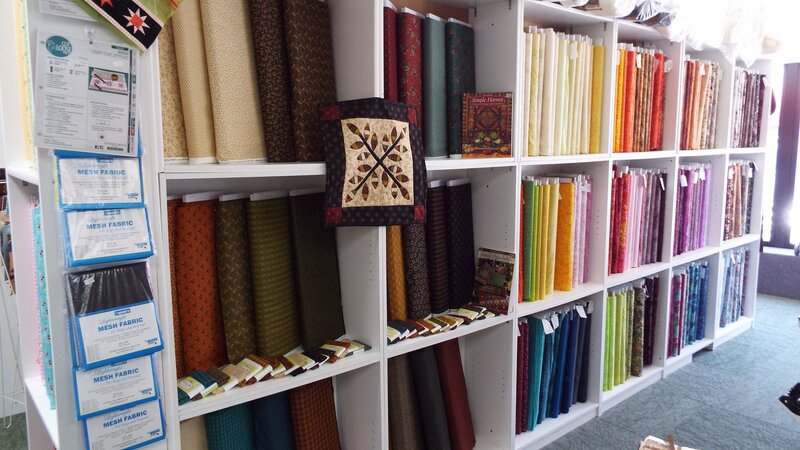 When you come to The Sewing House you will see sewing supplies, 6000+ bolts of fabric, quilting tools, a classroom, Janome, Elna, and Necchi sewing machines, embroidery machines, and sergers. We also carry high quality vacuums that will last for years. 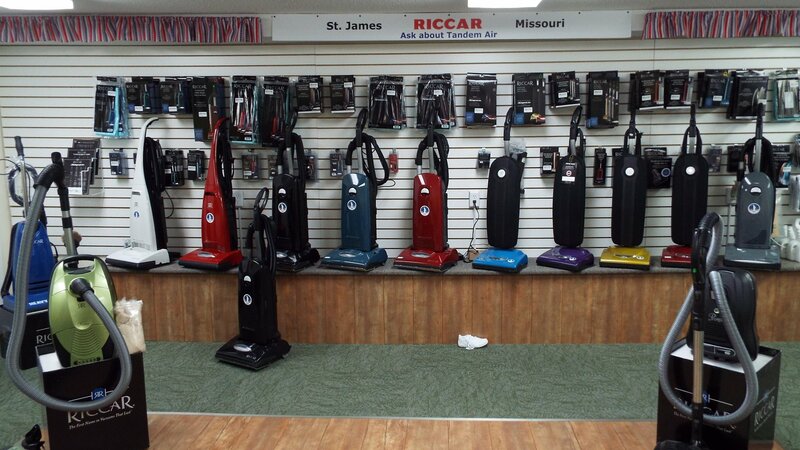 We carry Sebo Vacuums from Germany and Riccar vacuums from St. James, Missouri. We keep belts and bags in stock for most vacuum brands.